The firm will build a 1,000 sq m facility based on Japan’s architecture, which will not only act as a gateway to facilitate Japanese investments, but also as a tourist centre. 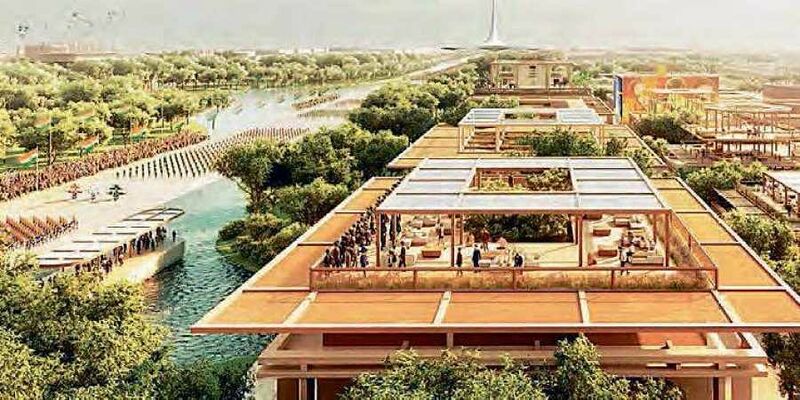 VIJAYAWADA: Yamazaki Yasuyo, CEO and president of Japanese infrastructure firm, Kuni Umi Asset Management Company Ltd, along with AP Capital Region Development Authority (APCRDA) commissioner Cherukuri Sreedhar laid the foundation for the ‘Human Future Pavilion’ in Amaravati on Friday. Chief Minister N Chandrababu Naidu, who was scheduled to participate in the ceremony, could not do so due to his sudden tour to the cyclone-hit Srikakulam district. Speaking on the occasion, Yasuyo said, “The pavilion will be constructed with pillars made out of paper tubes and pre-fabricated materials. It will have an exhibition centre, reflecting Japanese culture, and an area with a capacity to seat 700 people.” The pavilion will come up in two acres of land in Kondamarajupalem and is expected to cost Rs 5.8 crore. The pavilion, which will be used to promote innovations across the globe, is likely to be ready in seven months, the APCRDA officials said. The major attraction, Yasuyo said, would be a huge globe with futuristic features inside the pavilion.